Your clients and customers won't be tardy with your personalised Appointment Cards from Helloprint! 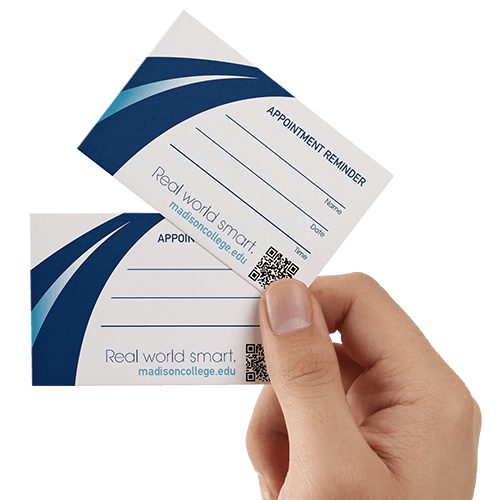 Not a lot is necessary to create a well-designed appointment card, but putting in the effort will go a long way to inform your valued customers of upcoming appointments; they'll be hard to forget when printed in a convenient size that fit nice and snug into any purse or wallet. It'll be easy to stay on schedule with impressionable cards that can be combined with a deluxe finishes to reinforce your brand identity. 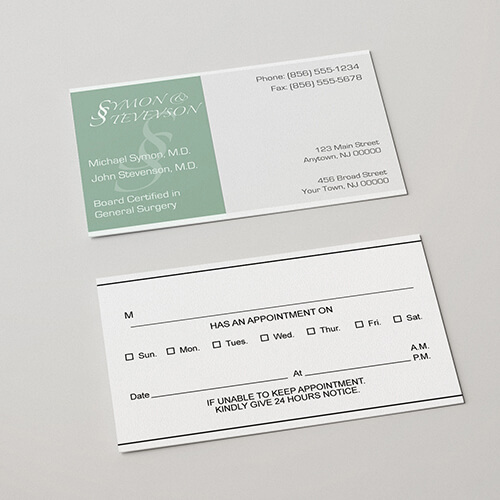 Classic Cards are very popular for Appointment Cards. 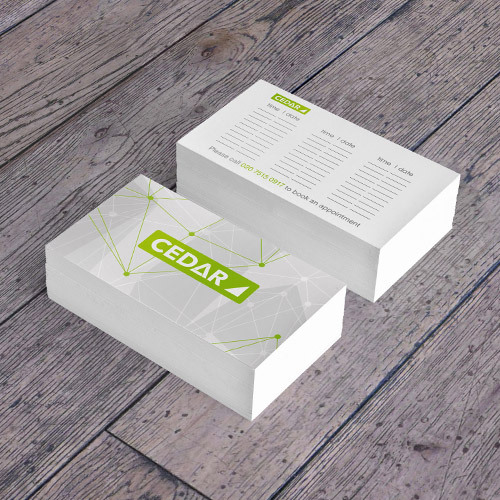 Printed on white, 340gsm carton, your cards will be perfectly writable! Our Star Cards are the luxurious option and really leave an impression with your customers. The front of your cards features a shiny look while the back remains writable. For the delivery of your appointment cards we use multiple carriers. Because of the highest reliability, in most cases we use UPS or DPD.